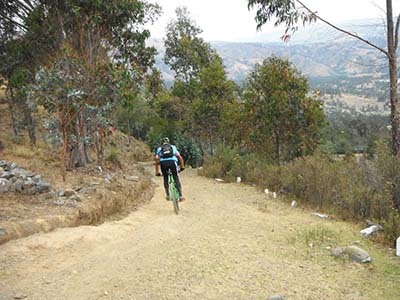 There are many places to mountain bike in Huaraz, from hill climbs to cross country to demanding downhill courses. Some of the courses are as follows: Portachuelo to Llanganuco (4750m), Punto Olympica (4890m), or Callan Punta (4225m). All courses offer gorgeous views of the beautiful landscapes and different mountains of the Cordillera Blanca.